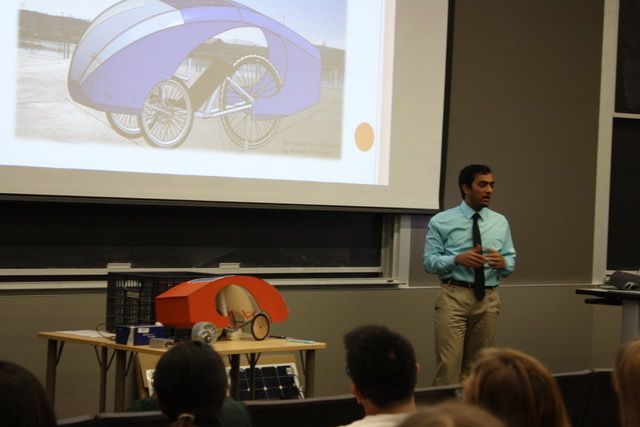 Since 2010, the Alternative Energy Challenge (AEC), a competition organized by the University of Texas at Austin, has allowed students to gain valuable hands-on experience building prototypes, and to develop both critical problem solving and public speaking skills. AEC 2018 is expected to be the biggest yet, with a large number of teams of 2-5 undergraduate students expected to build and present their prototypes. The waste product should be minimal. In other words, the materials that make up the device should be reusable wherever possible (recyclable, compostable, etc.). This year’s competition has been organized by students from the UT engineering student groups Engineers for a Sustainable World (ESW) and IEEE Power & Energy Society. The theme for AEC is to create solutions for disaster relief. In wake of recent events, such as the hurricanes that hit the US South/East coasts and the Californian wildfires, solutions in this area are in high demand. Our vision is that the final solutions will have the potential to positively impact the communities around us. Simulation can greatly help the student teams virtually test their design before building them. Students will have access to ANSYS technology and training — not only will that be key for the competition, but it will also allow them to gain key skills for their careers. The students look forward to being able to use simulation to speed-up the design of innovative solutions for disaster reliefs as well as test a large amount of ideas virtually.